I love the art book! Heading to that blog to check it out. Terrific idea! Thanks! It’s easier to make than you might think. I got most of the images off Wikipedia and then just formatted the book in Pages (I use a Mac). I love this! I think we will be adding this into our curriculum also. 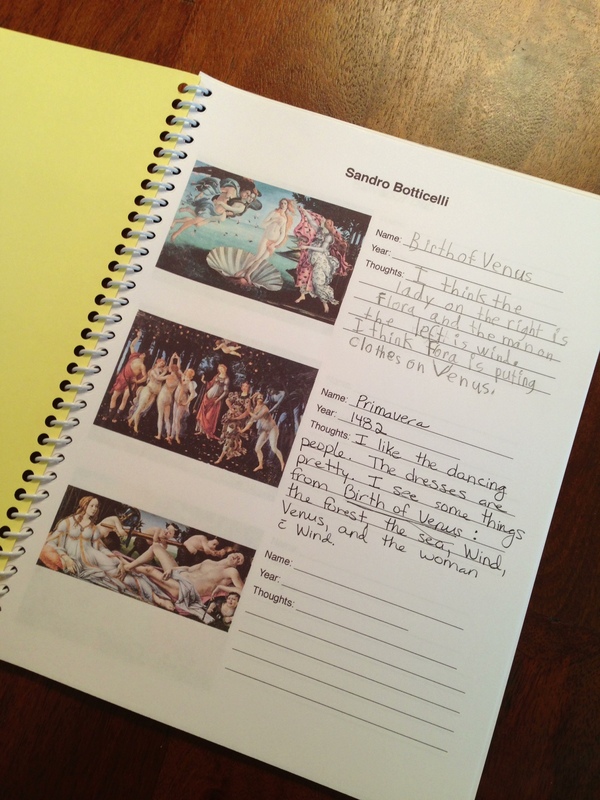 What a great way to get some art history, handwriting and research in! We have been doing picture studies which I think this will work very well with!